Complex litigations, high stakes negotiations, global patent enforcement…and free fall, indoor skydiving? 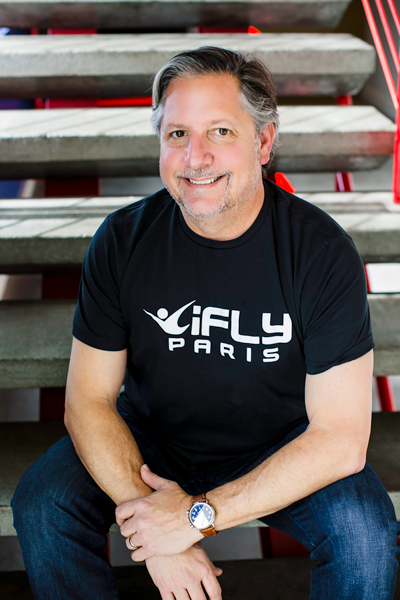 If you’re Kevin Fiur, executive vice president and chief legal officer for iFLY Indoor Skydiving, it’s all in a day’s work. Fiur’s colleagues couldn’t agree more.“Kevin brings to iFLY an extraordinary combination of entrepreneurial business acumen, strategic thinking and legal expertise that I have seen him hone in the trenches over the past two decades,” says David Weaver, partner at Baker Botts. As iFLY’s CLO, Fiur leads global legal operations across the nine countries where the company does business, while overseeing the myriad activities that accompany that role, such as litigation, employment law, intellectual property, and complex transactional work. But his impact on the business doesn’t stop there. He also devotes time to business development, pitches in with sales, and helps negotiate the company’s larger deals. “We are an innovative, deal-oriented company, constantly entering into new areas such as virtual reality and gamification of our product and looking at strategic partnerships to enhance our customer experience. We also have a big appetite for third-party sales—where we sell and license our wind tunnels and technology to entrepreneurial individuals and a variety of entities,” he says.“My team and I are regularly involved in the sales process and helping our salespeople close deals,” he says. “We have a complex contracting process, so I’m often engaged with my team at various steps of that process as well,” he says. And he’s also involved with the retail customers. “I still read every incident report, from someone who bumps an elbow to someone who breaks a pair of glasses while flying, and, when it makes sense to do so, I’ll call them up to see how they’re doing and try to make sure they are ultimately satisfied with their iFLY experience,” Fiur says. Of course, his position isn’t without its challenges. “Our inventions created the global indoor skydiving market. And because we have extensive patents and trade secrets protecting our significant investment in R&D, we work hard to protect our rights and the expenditure of time and resources by our employees and owners. A lot of people have tried to use what we’ve created and own the rights to, and we have a sophisticated team to deal with those situations. We like to solve things on the front end by adhering to our contracts and the relevant laws, but we aren’t afraid to litigate if we have to,” he says. For Fiur, however, the challenges are worth the opportunity to see iFLY grow from one wind tunnel to seventy-five wind tunnels globally as well as the thrill of sharing this unique experience with people around the world. In fact, Fiur encourages new members of his own team (as well as his outside lawyers) to take the plunge—and it’s something he did when he first joined the company. “I got in that wind. The instructor was able to let go of me, because I had a good, stable body position, and I was flying,” he says. 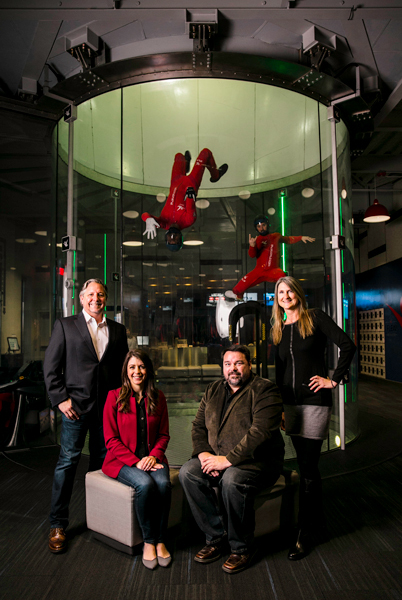 And iFLY will most certainly continue to fly under the leadership of Fiur and the company’s legal team.